My name is Anne Leddy, I am a sophomore at Stonehill College and am an Education/History major. 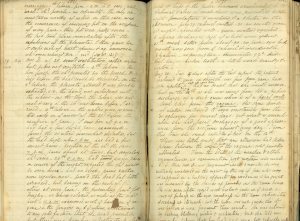 I am writing this blog because I want to people to know how heroic women were in the 19th century and continue to be today. This blog seeks to point out that having a baby in the 19th century wasn’t thought of by women as a blessing. Instead, these women dreaded that fateful day when they would have to bear that excruciating pain, called child birth. 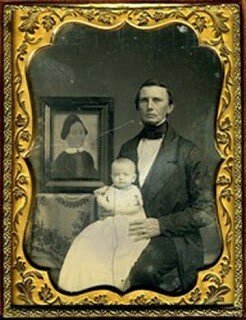 What was even more excuciating was that many women in the 19th century never had the chance to cradle their babies in their arms; they never got to see their child’s first smile or their first step because many of them died giving their child life. Today the Maternal Mortality Rate is 1 in 100,000 births, but that’s in America, a developed country. Developing countries around the world have the same Maternal Mortality rate that America had two centuries ago, this is not acceptable. Women in developing countries shouldn’t be dying of the same causes that was the number one killer of women in America in the 1800s. I hope this blog educates people because many people are unaware of the sacrifices that women made to have children in the 19th century. They were sacrificing their own lives, and today women in developing countries continue to make this sacrifice. During the 1800s the Industrial Revolution had just began in America. People abandoned their rural farms and moved into the cities. 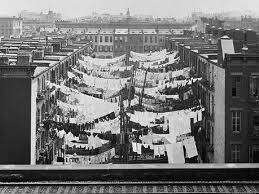 There in the city, families lived in cramped, unsanitary conditions. The apartments were overcrowded with people that made it extremely hot in the summer time. In addition, the exhaust from the factories clouded the air, which made it difficult to breathe. Not only did the people have to endure living in congested conditions, but they also received inadequate pay that made it hard to purchase enough food to suffice their family’s needs. Therefore, it can be said that life in the city was not an easy life. In fact, due to the cramped conditions, disease spread quickly and because of their lack of nutrition most people’s bodies were not strong enough to ward off infection, thus many died. But the number one killer of women in the 19th century wasn’t from poor nutrition or disease, it was from child birth. Most working class children lacked Vitamin D and because they lived in the cities this effected them even more and thus they were prone to getting rittles. Rittles caused deformities of the bones and in severe cases resulted in dwarfism. This resulted in the malformation of the pelvis, known as the rickety flat pelvis. In other words this meant what when girls became women they had constricted birth canals, thus vaginal delivery was very painful and deadly. The pelvis was too small and the baby was too big to pass through. Consequently, doctors tried to help these women by using forceps. Forceps, as are depicted in the picture above, were invented at the beginning of the 18th century. They were used when labour was constricted. The forceps were dangerous however because they increased the chance of damaging the tissues of women in delivery. But many doctors believed that forceps were a must have because they decreased the amount of time in labour. Some physicians used forceps in half of their deliveries.Other times the baby died inside the mother and doctors had to remove the baby piece by piece. These procedures were usually deadly to mothers. 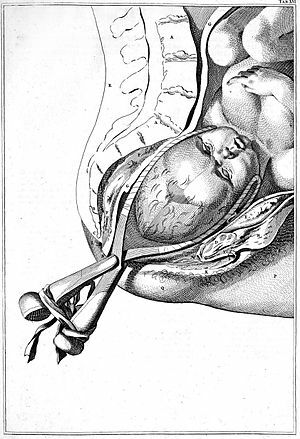 Rittles led to the inventions of perfoators, craniotomy forceps, cranioclasts, and cephalotribes. Each was designed to decrease the overall size of the baby and deliver it through the small pelvis. High maternal mortality was also caused by improper obstetric practices. Many poor women couldn’t afford a midwife, therefore they were forced to rely on untrained midwives, neighbors, family, or sometimes they even delivered their babies on their own. State funded maternal care did exist, however the quality of care was much lower for the poor than for the middle class. It was physicians who used forceps the most. Women who went into hospitals to have their babies were often asked to write their name and address on a sheet of paper which was then sealed in an envelope and left under her bed. This letter would be opened if the woman died in child birth, and the news would be brought to her family. However if a woman survived child birth she then proceeded to take the paper with her. This was done because many women came into the hospitals alone. In additon, women who gave birth to their babies in hospitals had a greater chance of dying than those who gave birth anywhere else. Once word got around that many women who gave birth in the hospitals soon perished from diseases women started delivering their babies outside the hospital and then once the baby had been born they would check into the hospital. This greatly reduced the number of maternal deaths. When contractions started women wondered the area outside the hospital and found a quiet place to have their baby. After their baby had been born they swaddled him or her up and went to the hospital. Obstertic Haemorrhage has been described as very sudden, unexpected, and alarmingly copious. It has been summed up as “flooding.” Many women died from this disease because midwives and physicians lacked common skills. In most child births, twenty minutes after the baby has been born, the body usually expells the placenta. However, this isn’t always the case, if the placenta hasn’t emerged after a half an hour, midwives and physicians are advised to remove the placenta themselves through pressure and gentle mechanical help that excites the contractions of the uterus and at once stops the flood of blood. If this isn’t done then the mother bleeds to death because the heart no longer has any blood and thus stops pumping. A woman who was forty-two died from Obstertic Haemorrage even though she had delivered twelve of her previous babies all by herself. After she had successfully delivered her thirteenth child, she herself pulled the placenta out by the cord. Unfortunately, as she pulled the cord, it snapped. The woman resumed her role as a wife and went on with her housework, thinking nothing of the placenta still inside her. Consequently, as she worked she fainted from the haemorrage. Childbirth was extremely dangerous in the 19th early 20th Century. In this photograph neither Mrs. Gilmer nor her her baby survived. 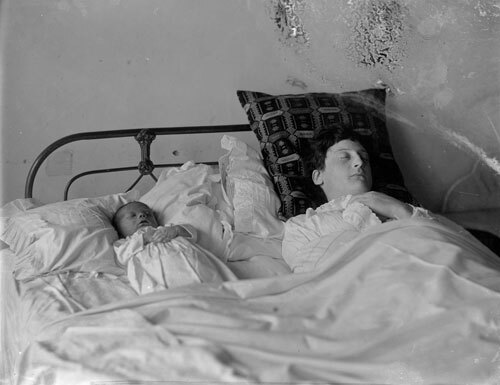 Childbed fever which is also known as puerperal fever was the number one killer of mothers in the 1800s. Puerperal comes from the word puerpera meaning “a woman who had just given birth.” The symptoms of this disease included: shivering, pain in the uterus, increase pressure to the stomach, suppression of lochia and milk, accelerated pulse, furred tongue, great heat of skin, and great pain in the forehead. These symptoms didn’t arise right away. A woman typically delivered on Monday, was happy and healthy on Tuesday, but on Wednesday she came down with a fever and from there on all the other symptoms would arise. This is detailed in the document above. The doctor describes his patient’s delivery, her pains and the position of the baby, he then goes on to note that he left the mother in good condition, but over the course of the next ten days she went through agnozing pain, and passed away. The earlier that these symptoms started the worse the prognosis. Ninety percent of deaths occured before the forty-second postnatal day. Many women who suffered from this disease were in so much pain that they couldn’t bear the touch of clothing on their stomachs and so they stripped off all of their clothes in their delirium. This disease was fatal in more than half of the cases. It was prevalent among young women who had just delivered their first babies. After many of their patients had died from this disease they opened the cadavers and found them full of abscesses. Women who delivered in clinics had higher chances of contracting childbed fever. One in twenty-nine women who delivered in the clinic died of this disease, while one in two hundred twelve died who delivered at home. This disease accounted for eighty percent or more of maternal mortality. During the 1800s there were many theories as to the cause of this horrible illness known as childbed fever. One such theory was that it was caused as the result of the “tightness of stays and petticoat bindings and the wight of the pockets of the petticoats.” It was believed that stays and peticoats pressed the intestines and blocked excretion which then caused the body to reabsorb it waste. Other physicians contributed the disease to: inactive lifestyle, improper diet, and the attendance of friends in a small room during delivery. Most asserted that childbed fever was caused by the atmosphere during delivery. When a woman was in labour she was kept in the bedroom, every door and window were closed to prevent the mother from catching cold, the curtains were drawned and pinned around her bed, and every opening except for the key hole was left. This resulted in putrid air and made the women sweat profusely. In addition, the women in labour was only given hot drinks. Even though Semmelveis emphasized the importance of washing ones hands between examining cadavers and delivering babies because it increased a woman’s chances of infection, doctors still neglected to wash their hands. As a result, women continued to die. Physicians took care to cover up their negligence by writing white lies as to the cause of their patients’ deaths. In the medical records they alluded that some of their women patents had died from a fever, but forgot to mention that the women were pregnant. They did this to avoid blame. Martha Ballard was the most renowned midwife of the 19th century. She gained fame for not only delivering babies, but also for her diary that chronologized medical history for twenty-seven years. Her diary later inspired the movie A Midwife’s Tale, and a clip of the movie can be viewed below. Ballard was born between 1734 and 1735, in Oxford, Massachusetts. 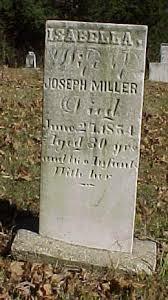 In 1754, she married Ephraim Ballard and together they had nine children, unfortunately three of their children died from the diphtheria epidemic in the summer of 1769. Ballard gained fame for delivering close to a thousand babies with only five recorded deaths of mothers. This was phenomenal for the time period when diseases ran rapid, killing lots of mothers. Bollard’s occupation wasn’t just being a midwife she was also described as: a nurse, physician, mortician, pharmacist, and attentive wife. Midwives were offered a salary and a house rent free. It was deemed the best paid female occupation of the time. Ballard also delivered animals, attended baptism, and burials of infants. Unlike other midwives, Ballard didn’t offer any pain medications, like choloform, just alcohol or her own herbal remedies. Martha’s greatest fear was when a woman was in labour unattended because she knew that the woman was in want of help. 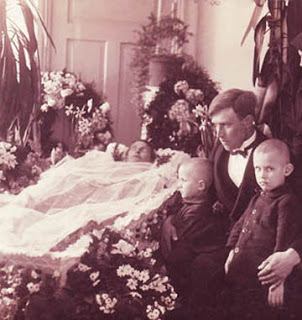 Most of Ballard’s births were routine and predictable, and attributed her success to God. Ballard’s accounts as a midwife weren’t detailed at all. In fact, she didn’t describe the three pains of labor in medical terms, but instead in social terms. She depicted the first stage as being when the mother is with the midwife during labour and the mother walks around as she prepares to have her baby. The second stage was when women of the neighborhood gathered in the dark, hot room to help deliver the baby. Often times Ballard had two to four assistants aiding her in the birth and they all celebrated the safe arrival of the baby. The last stage was when the midwife left and the afternurse took over caring for the newborn and the mother. This was known as the lying-in period. Out of the five women that perished after the birth of their children three of them were believed to have died from childbed fever, while the other two died of the measles and convulsions eclampsi and toxemia.